Not just a relic from the age of brightly-colored transparent plastic, but what could have been the future of HP graphing calculators. 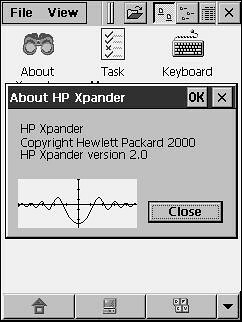 The Xpander was Hewlett-Packard’s attempt to reinvent the graphing calculator as a smart, stylus-and-keyboard bearing interactive computer. 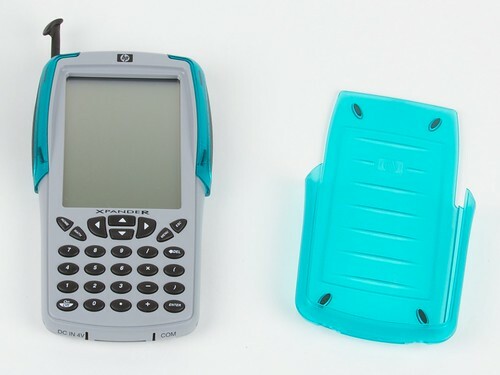 Anticipating wide distribution, HP Sent prototype units–like one shown here –to a select group of educators in the year 2000. Despite positive feedback, the project was shuttered in 2001, with HP stating that the project did not have “a broad enough appeal”. None the less, it’s an interesting piece of history. 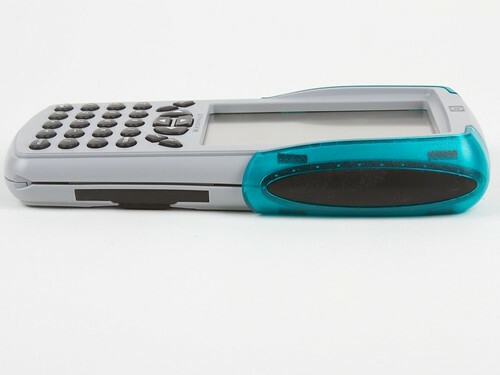 For input the Xpander had a stylus-driven screen (tucked away into a slot on the left side) and a calculator-like keypad. The calculator ran custom software on top of Windows CE 3.0 on an Hitachi SH3 processor. The Xpander is powered by two internal Nickel Metal Hydride cells which are charged with a wall adapter. 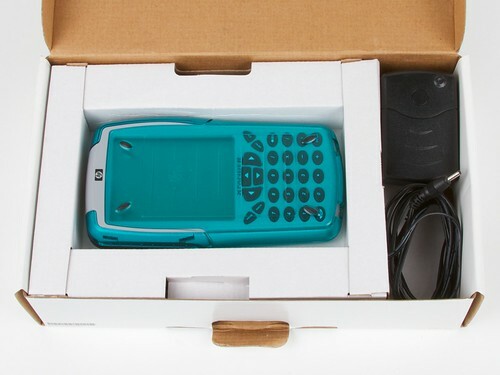 Each calculator also shipped with a serial port cable and software to transfer files, update the firmware, and take screenshots. The socket in the middle is a display output port, and was used to connect the overhead projector display unit to the calculator. 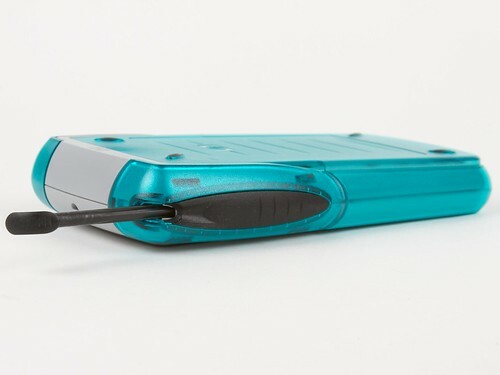 It also had a Compact Flash slot on the side, intended for use with external sensors and other equipment. As far as I know no compatible external equipment was ever supplied to testers outside of Hewlett-Packard. The quality of the screen– with several gray levels –was abysmal, even for the late nineties. Fortunately the connectivity software packaged with the calculator has a screenshot function and we were actually able to use it to get genuine screen captures for the images that follow. 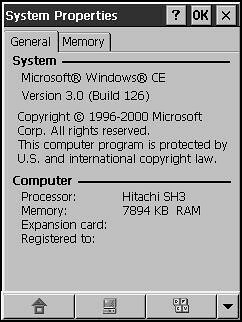 Your eyes do not deceive you, it is in fact running Windows CE 3.0 (Build 126) on a Hitachi SH3 processor with about eight megabytes of RAM. Programs compiled for this platform seem to run just fine on the Xpander, although I have no idea if there were plans for the production model to be locked down. 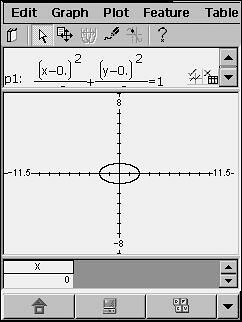 This is the Math Xpander software. This software was the core of the whole project; the hardware was merely a vehicle to get it into the hands of teachers and students. 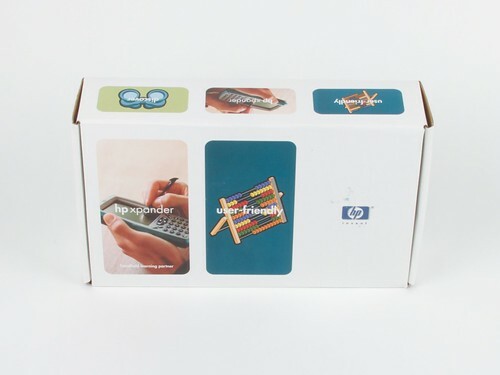 After the project was discontinued HP released the software as freeware. It’s still available from Saltire Software. 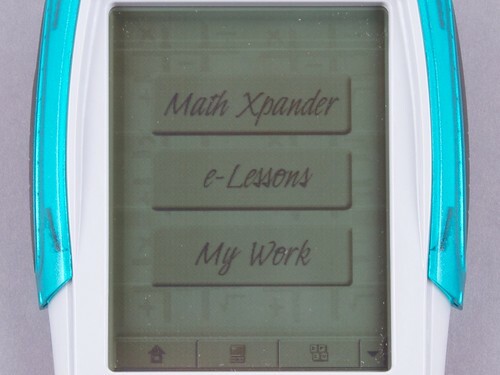 Each Xpander also included a collection of ‘e-Lessons’. 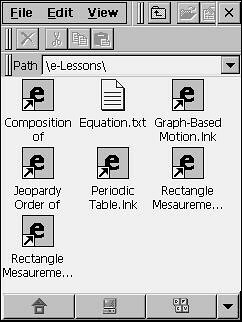 These were stand-alone programs that investigated various science and math topics. Some e-Lessons are quite interesting (like the periodic table e-Lesson shown here). The teachers that were selected for the testing program were taken on an all expenses paid trip to a resort where they spent several days learning about the device and how to use it in the classroom. Various paraphernalia from this trip has appeared on eBay from time to time and includes HP/Xpander branded pens, lanyards, laser pointers, and branding irons (yes, really). In 2001, after the project was canceled, teachers in the evaluation program were told to discard the equipment when they were finished with it. But luckily enough, not all of them made it to the landfill. Dan Hembry is a henchperson at Evil Mad Science Laboratories. This entry was posted in EMSL Projects, Vintage Technology and tagged vintage tech. Bookmark the Permalink. westfw: Nokia N900 has HP simulator: http://maemo.org/downloads/product/OS2008/ati85/ I use this and is exactly 1:1 same as the TI-85 was. There’s perfect HP emulators for a large set of devices, though, PC, but also Windows mobile, and I guess others platforms. See hpcalc.org, for example. 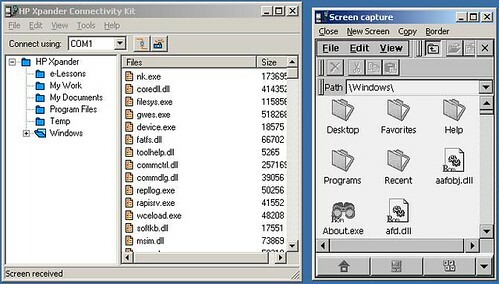 Still, an emulator, even perfect, is nowhere near as good as the real product in terms of usability. 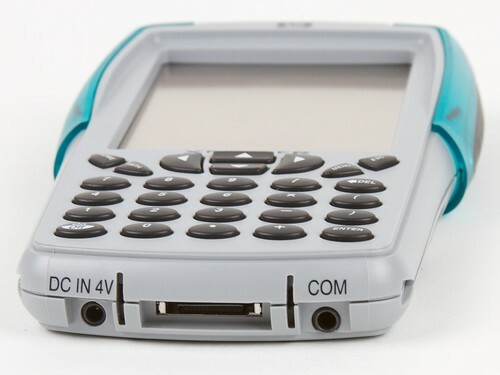 ATI-85 is great, although I agree that a real calculator is always better. I just find it convenient because it means I don’t need to pack around another device all of the time. There is also Free42, which is a reimplementation of the HP-42S RPN calculator available for many platforms including Maemo, Android, iOS, and Palm. It’s also great, but it makes me long for a real HP RPN calculator. I fell in love with them way back in elementary school, but can’t justify buying one. That would make a lot of sense. Think of all the smartphones already in student’s pockets. Maybe they have piracy concerns? Teachers don’t want kids using their smartphones in class and many post secondary schools want you to buy the calculator through their book store to increase their bottom line. There are a couple hp-16c programmer calculator emulators for the iphone, search the itunes store for "hp-16c". Not sure if any of them are any good, I haven’t bought one, but I would probably get "classic RPN", which does the 11c, 12c, 15c, and 16c all in one. The 16C is the best programmer’s calculator ever, it does binary, hex, and octal calculations, with bit-wise operators like AND, OR, and XOR. I had one back in the 80’s while I was getting my CSci degree. That was the days when programmers were REAL programmers and had to know how to program right on the bare metal. I’ve seriously thought of buying one of those prototypes, before (although they were truly expensive), just to play with those. Where have you found one ? That’s a pity that the HP calculators division is not receiving the love it deserves. When I was a student, 15 years ago, they held probably 80% of the market in college-level schools that was preparing to high engineering schools with their 48 line. Now, they disappeared, and students are looking at me strangely when I use RPN on a 50g. I knida regret it since I still think, personally, that those are the best calculators available on the market (TI being a decent contender). The Xpander remains for me a reminder that the mostly gave up in this field. Even if I’m doubtful that it would have been a really good solution for a calculator (I could use a better, tactile screen, but the keyboard is really important on a calculator, and the main reason I had to replace my 49G and 49G+ was the not-so-great keyboards), they were at least researching new ideas. Beside, the guys behind the meta-kernel and the 49G were really nice and full of great ideas. I would buy instaneously a new calculator in the 50G line. On a side note, TI has produced a product kinda similar to the Xpander. Interesting, not enough hard buttons, though. Besides, I feel I can do more on my HP, and I can’t stand anything else than RPN, nowadays. I find it strange that HP didn’t pursue this concept and market. TI is doing well in the calculators-for-education market. Was it too late in 2001? Did they conclude they’ll never catch up? Speaking of apps, I found ND1 in the AppStore. I’m a die-hard HP guy, but this is my most used RPN/RPL calc now, and only calculator not from HP that I love. Full of good, fresh ideas, a bit like a 51g/Xpander. HP should do something like this, though it IS a bit late for education. By now. The tablet and the smart phone will take over the world, special purpose calculators are a thing of the past. Heck, even the personal computer doesn’t look long for the world in the consumer space. "Computers" as we know them will still power the cloud, but the days of everyone having all that hardware sitting around doing nothing most of the day are coming to an end shortly. And thank goodness, what a waste of power. Is there anything at all a graphic calculator can do that in theory an iPad couldn’t? How about an iPhone? Plus they can send your charts to .pdf for inclusion in the report. If you get a netbook or I understand some tablets, you will also have USB for connecting devices. the iPad and some other tablets rely on Bluetooth or wifi, but you can still connect. So the potential in the USB/Bluetooth/wifi area to create a modern laboratory is huge. 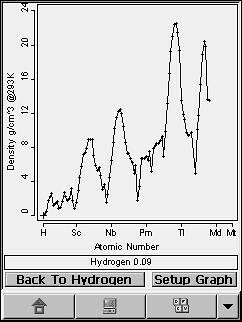 My brother had a couple HP mini gas chromatographs for a while that hooked up to a laptop and all the results were immediately available on the computer. (He had them for business, now sold). The only thing calculators are good for is making sure students don’t have a big drive full of answers and wifi during exams. I threw all mine out, save a simple solar powered scientific calculator that doesn’t get used much. Solar powered because I find it isn’t worth putting $7 worth of batteries in something that does what my phone can do. All the calculators, even the programmable ones from my university days, went in the bin the last time the batteries went dead. Heck, I am quite sure in a couple of years (if not already) the occiliscopes shown in a more resent post will be quite replaced by something that plugs into your netbook and can display the output real time as well as record it for time based analysis.